Thou shalt neither renteth, nor shalt thou purchaseth from any RV rental company unless it includeth “Cruise America” within its name. Thou shalt follow the sun. In the winter, ventureth south. In the Summer, traveleth north. If thou likest the cold weather, then thou mayest discard this commandment. Thou shalt plan and document those trips that thou taketh with thine family. Remember that with an RV, thine reward is not just where thou traveleth; it is the journey that thou taketh in thine Cruise America RV rental. Thou shalt Planneth and document thine trips. Remember that thou wilst find that the travel with thy family is a large part of the joy and merriment. Thou shalt not moveth from one area to the next without exploring thine surroundings. Exploreth each city or town that thy runneth upon so thou loseth not the opportunity to learneth and explore new lands and kingdoms. Thou shalt remain healthy during thine travels. Remain vigilant in thine exercises so that thou mayest travel for years upon this earth. Whether thou hiketh, rideth a bike, or strolleth through the woods, thy heart must remaineth strong so that it pumpeth throughout the decades with strength and vigor. Thou shalt not goeth broke. Thou mayest become a member of a camping network, which provideth unto thee a means of saving thine gold, silver and precious oils. Thou wilst enjoy the rates, which have been highly discounted. In doing so, Thou mayest avoid the search for RV Campgrounds, too. Thou shalt remaineth connected to friends and family. Thou mayest encounter an emergency wherein thou needest help. Thine family needeth to constantly knoweth thine whereabouts. 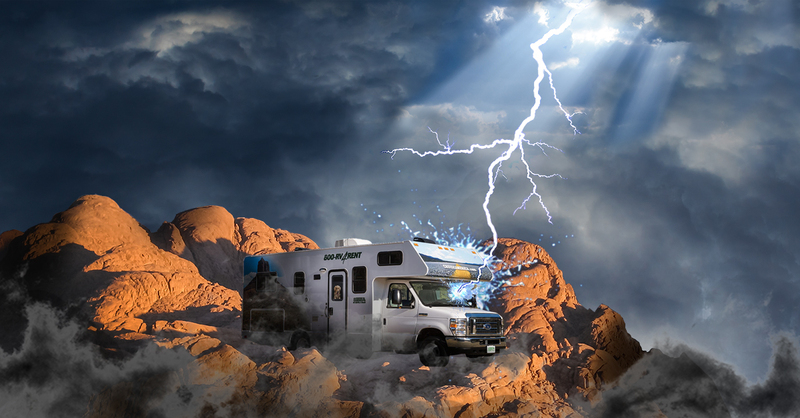 Thou shalt delivereth the vehicle back unto us, afterwhich thou shalt cry from the rooftops unto thine friends, and yea, even thy family, bearing tidings of great joy, testifying of the experiences shared by all in thine RV travels. Thou shalt not covet thy neighbor’s RV. And thou won’st have to if thou art traveling in a Rental Motorhome from Cruise America. To those who readeth these things, behold, I say unto thee, Let’s Cruiseth, America!